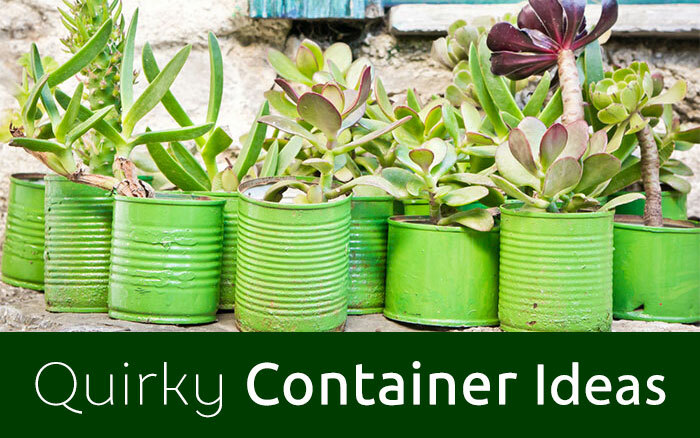 Recycling your old wellies into containers is a great way to help the environment as well as creating a fun quirky feature for your garden. 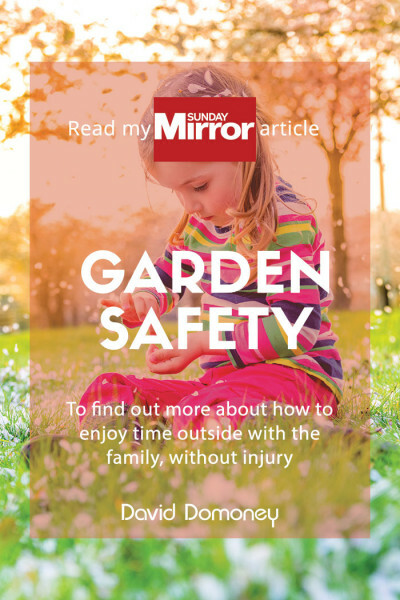 It’s a really easy process, and an activity you can do with the kids too – who seem to outgrow their wellies all too frequently! 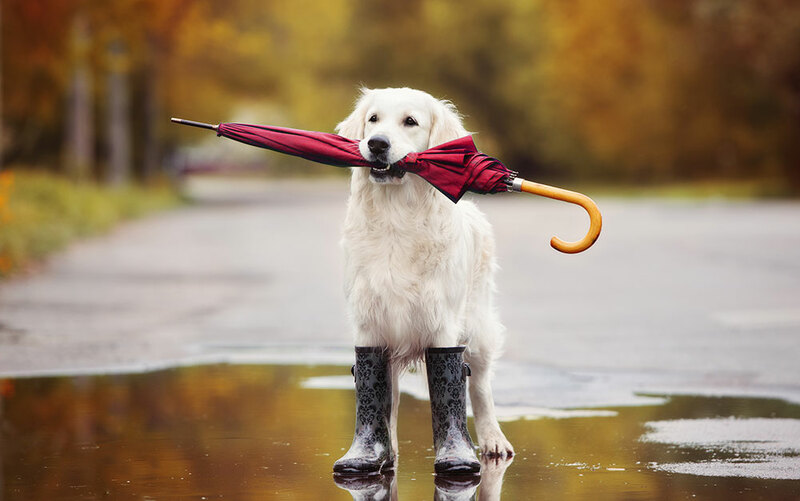 You can use any type of wellies, ones with bright colourful prints are great for a vibrant look, or keep it classic with wellington green for a more rustic feel. Wash the wellies you’re going to use with warm soapy water and dry off with a towel. You want your wellies looking their best if they’re going to be on display! 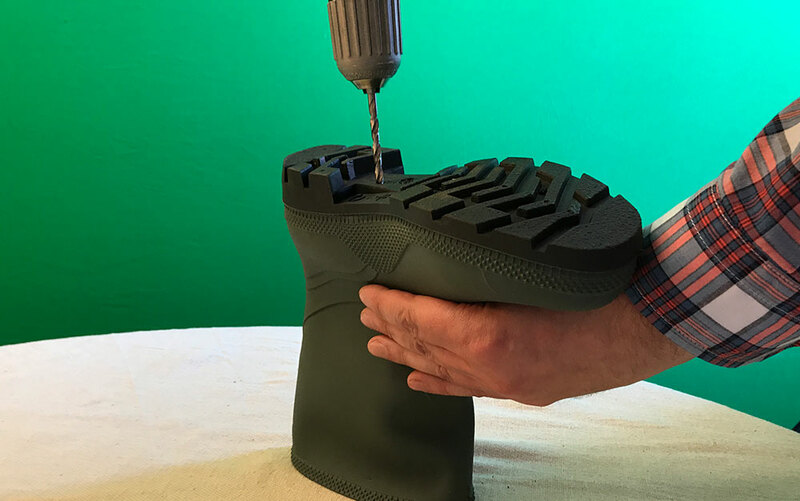 Secure your boots sole facing up to a work bench and drill a few small holes in the soles of your boots and around the edges. This is so that water will be able to drain out of your boot evenly when you water your plants. plants to grow out the sides as well. Fill the bottom of the boot with some pebbles to help with water drainage. This step is optional but recommended as it will also help hold the boot in place on more blustery days. 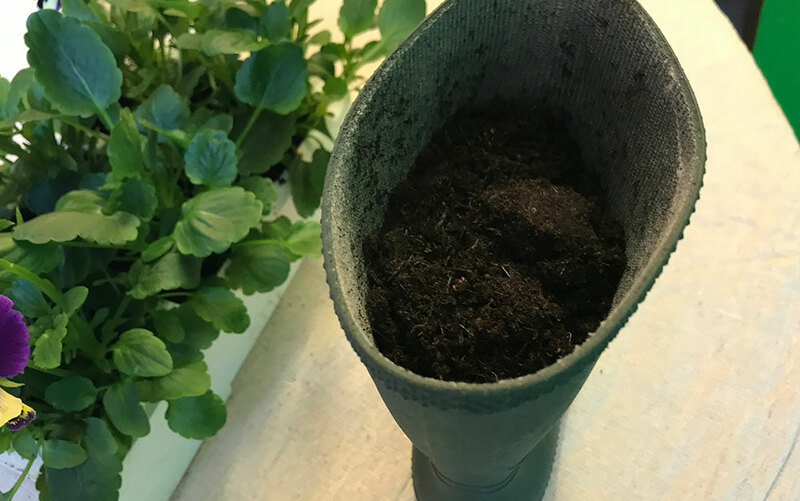 Add compost to your boot and press down gently, ensuring the compost fills right down to the toe as well (or down to where the pebbles start). Fill to about two inches from the top. 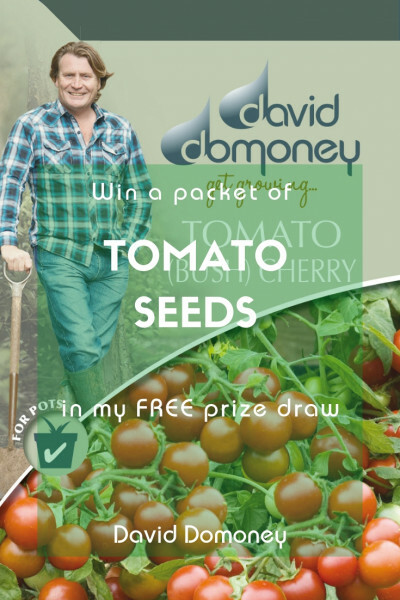 Plant your seeds or plants, top with a little more compost and then a sprinkling of water. Add some waterproof labels to help you remember what you’ve planted if you like. You’re now ready to position your new planters wherever you like – check the seed packet to find out if your particular plant prefers shade or sun, and then position accordingly. you’re short on floor space. 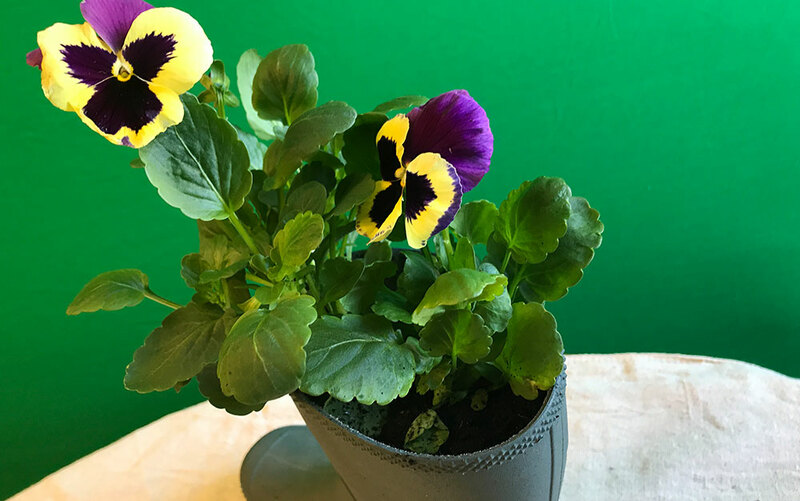 • Why not try making one large Wellington boot into an umbrella stand? Simply wash the boot, fill the base with sand. The sand will prevent it from toppling over and absorb the water too. Then stick it by the front door to make a quirky feature for storing your umbrellas! 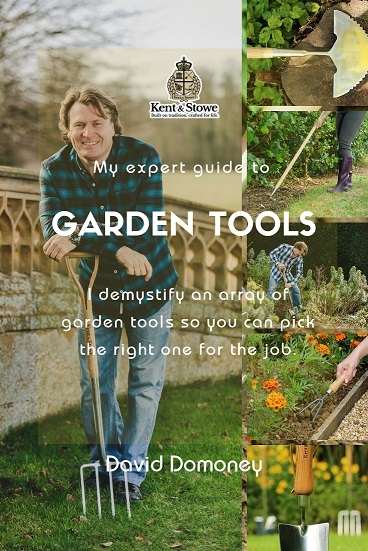 • Garden clogs are often the gardener’s shoe of choice for quickly popping outside. 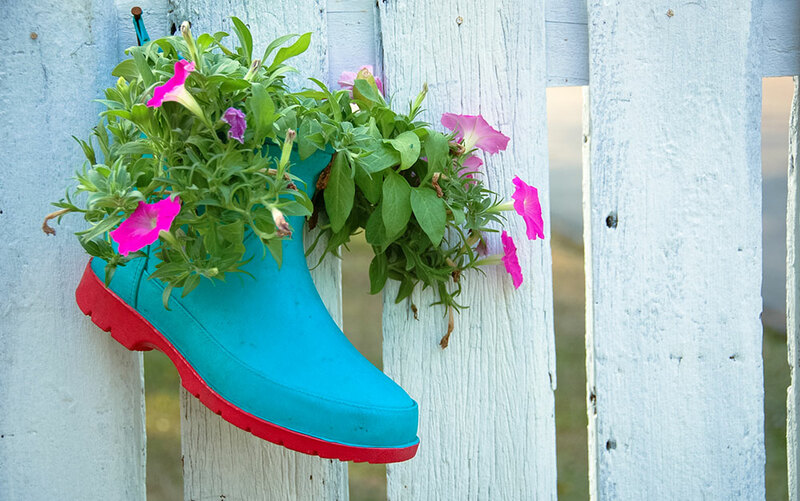 You can easily cut the tops off your old wellies to convert them into a waterproof pair of garden clogs. • Old walking boots can be fastened toe-facing-down to a tree to make a quirky bird house. Small birds will love the cosy waterproof interior. Tie the shoelace up tightly to make a small hole for their entrance and exit. 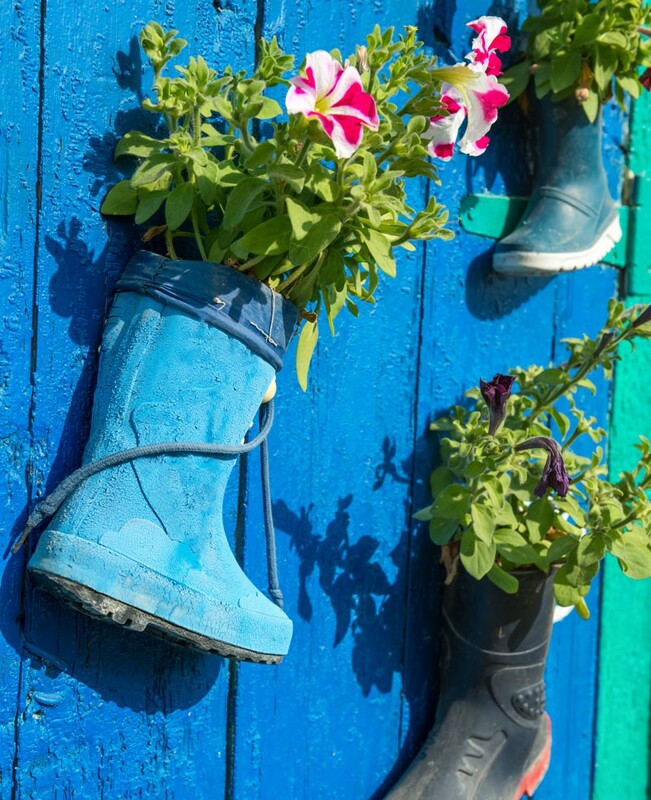 So now you have plenty of ideas to up-cycle your old wellies and find a loving home for them. Let me know if you can think of any other creative ways to recycle your old garden things. 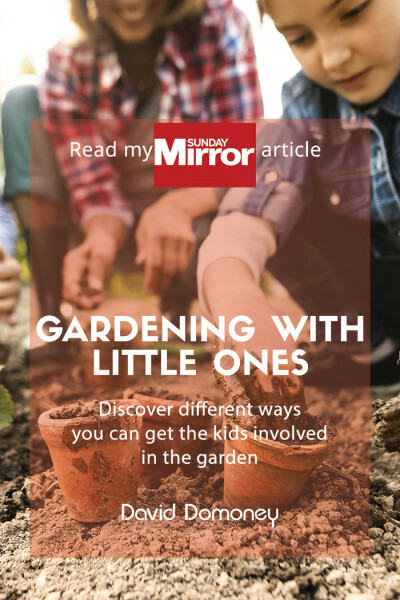 It’s always a cheaper alternative to buying new and can be a really fun way to teach the kids about caring for the environment and get them into the garden more. Click here to email me pictures of your welly creations! Wonderful idea and the most creative that I have seen in a long time. Can perennial plants be used and left out in winter? I’m glad you like them! Perennial plants should be fine, as long as there is plenty of drainage from the boot. Perennial herbs like thyme, rosemary or chives work well. Put them just outside the kitchen door for easy access!